Congress is standing up for primates! Representatives Mike Fitzpatrick (R-PA) and Earl Blumenauer (D-OR) have just re-introduced the Captive Primate Safety Act, H.R. 2856, a bill which would end the shameful interstate pet trade in monkeys, great apes, and other primates. Contact your Congressmember and voice your support for this critical initiative today. The International Fund for Animal Welfare (IFAW) stands with the Humane Society of the United States, the Jane Goodall Institute, and other animal protection organizations in applauding this important initiative. Just as in the case of big cats, keeping a primate as a pet is an inhumane and reckless practice equivalent to keeping a ticking time bomb. Even so, and at the detriment of animal welfare, public safety and common-sense, these intelligent and highly dangerous animals are routinely exploited by the exotic pet trade. Reform is long overdue. Since 1990, more than 270 people –including 86 children—have been injured by primates kept in private hands. This year alone, a 6-year old boy from Illinois and a 2-year-old girl from Florida. And how could anyone forget Carla Nash, the woman in Connecticut disfigured so severely by her friend’s pet chimp in 2009 that she lost her lips, hands, eyelids, and sight? These attacks don’t factor in the risk of fatal diseases, such as tuberculosis and herpes-B virus, that readily spread from primates to humans upon contact. Not to mention the lifetime of stress, pain, and loneliness sustained by thousands of primates kept as pets. A quick internet search using the words “chimp” and “attack”, and hundreds of gruesome headlines appear --“Worst Chimpanzee Attack Story Ever”, “Owner of Chimp in Mauling Dies”, “Woman Disfigured in Chimp Attack”. Another quick search for “primates in captivity”, and studies about the psychological and emotional stress placed on chimps in captivity are the first to pop up. Imagine a day when you can do an internet search for “primates in captivity” and the headline reads, “The Captive Primate Safety Act Saves another Primate”. 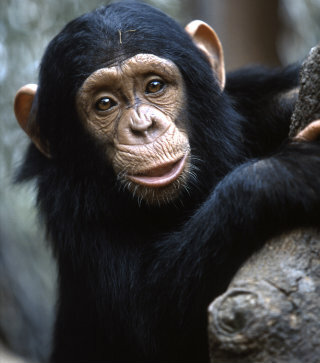 It is fairly common knowledge that primates are intelligent, energetic and highly social animals. Therefore, it should come as no surprise that when taken out of their natural environment—often forcibly removed from their mothers shortly after birth and then confined to small cages as someone’s pet – these animals become traumatized. A recipe for disaster. About half of all states currently prohibit private possession of some or all primate species as pets, however platforms such as the internet and auctions make it difficult for state law enforcement to regulate the exotic pet trade. IFAW is hopeful that the Captive Primate Safety Act will pass. But, like everything else worth fighting for it is going to take some work. Please ask your U.S. Rep to support H.R. 2856 today. Take action right now and tell Congress to vote yes in support of the Captive Primate Safety Act!